Sujata Bhattarai is the Chief Executive Officer and President of Aureus Tech Systems. In 2008, Sujata identified a need in the marketplace around SharePoint, when the software was in its early stages, and started a SharePoint consulting company. Over the last five years, she has grown Aureus Tech Systems’ revenue at an average of 20 percent and expanded the company’s core practices and capabilities to include business intelligence and mobile reporting. For her leadership role, Sujata was recognized as the Professional Woman of the Year in 2014 by the National Association of Professional Women. 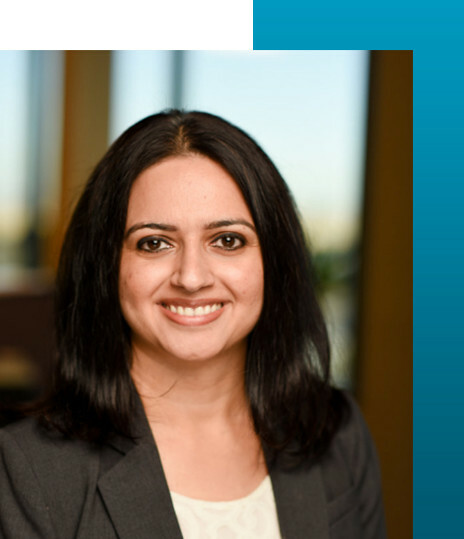 Prior to venturing out with Aureus Tech Systems, Sujata graduated from the University of Central Missouri in 2006 and worked at the National Research Center for College & University Admissions from 2008 to 2010 as a software developer, churning out solutions in the areas of business intelligence and reporting systems. Sujata’s leadership and human resources management skills blossomed during her time with these organizations. At Aureus Tech Systems, Sujata’s role has evolved through the years. She has held various responsibilities, from project management and resource acquisition to payroll and human resource functions. Though Aureus Tech Systems now has different departments for each of these areas, Sujata has stayed involved. She uses weekly metrics provided to her by her expert staff to manage projects at a corporate level, and she is directly responsible for managing the company’s finance and resource allocation. With her extensive background in computer information systems, Sujata is also able to review and understand the technical architecture and approach her team takes on projects, which allows her to identify technical risks. Sujata enjoys yoga and meditation. She also likes hiking in the Colorado mountain ranges and reading books.